The ibis Toulon La Seyne hotel, fully renovated in 2015, is located 3.7 miles (6 km) from Toulon and the quay for Corsica. 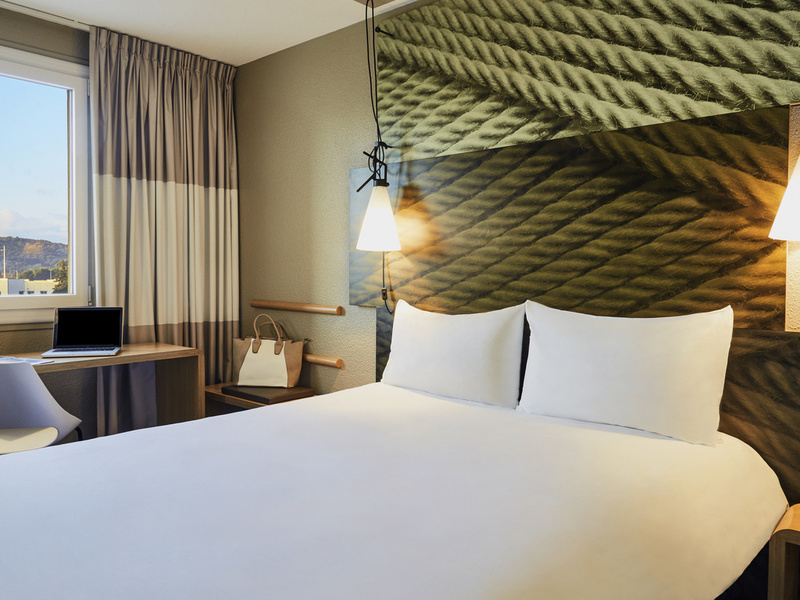 Close to the A50 highway, the hotel has 63 air-conditioned rooms equipped with the new Sweet Bed by ibis bedding for the ultimate in comfort, as well as free WIFI. The hotel has the following communal areas: the 24-hour bar with a snack menu, 2 meeting rooms able to accommodate up to 40 people, and a Web Corner. The outdoor car park is free and enclosed. Walks, hiking, sea and beach 3.7 miles away. Enjoy the swimming pool at the ibis Styles hotel, which shares the same car park. Healthy breakfast and enclosed car park!! There is a Courtepaille Comptoir restaurant just a few meters away. New! For your pleasure and relaxation, from July 7, 2017, stay at ibis and enjoy the swimming pool just across the car park at the ibis Styles hotel for free. Don't get sunburnt, sunscreen is not included!